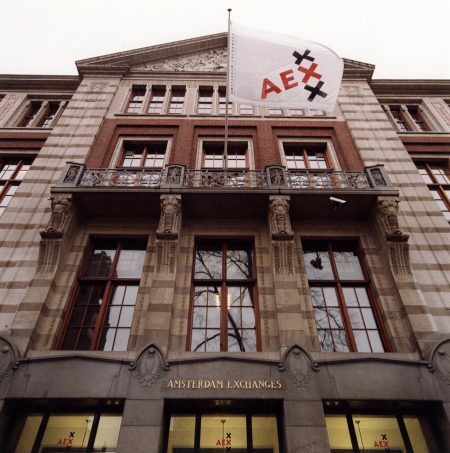 The English name of the new merged company took some getting used to, but naming the exchange organization after the main index of Amsterdam turned out to be an excellent choice: AEX was a household name in no time. 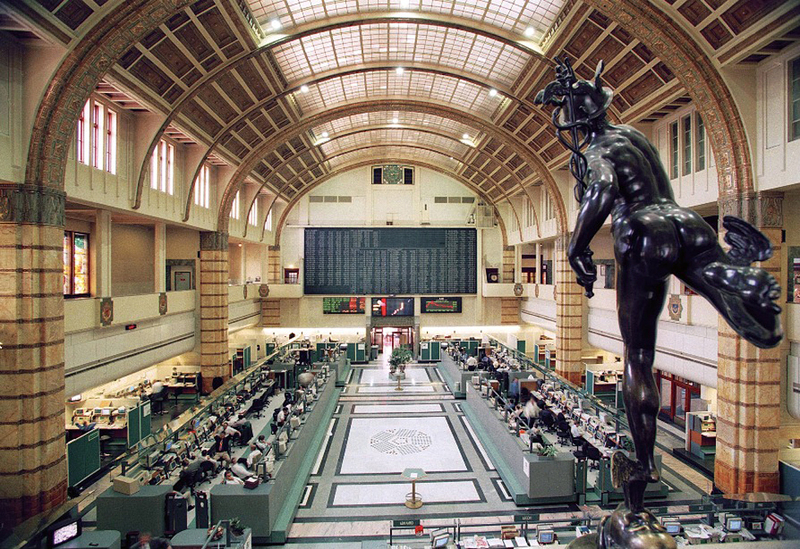 At the time of the merger in 1997, the securities exchange was still housed on the large exchange floor at Beursplein 5. Because securities trading needed increasingly less space as a consequence of automation, it moved to a smaller floor in May 1998, and the large floor was renovated to accommodate the options exchange. Amsterdam Exchanges decided to introduce colored exchange jackets to distinguish between the options traders on the new floor at Beursplein 5. 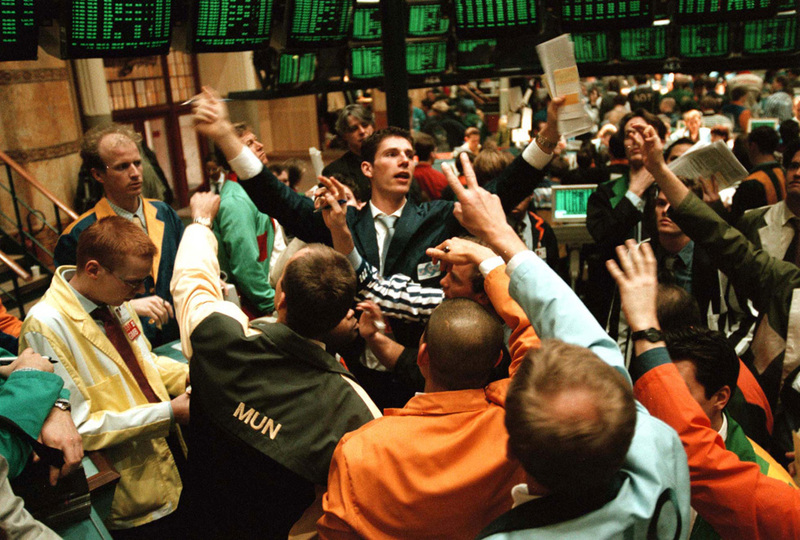 In October 1998, the hour had come: 800 options traders, dressed in brightly colored jackets, took over the large exchange floor from securities traders. As organizations, the Amsterdam Stock Exchange and Options Exchange were independent of one another. They did have a number of common interests. In the Joint Executive Committee, formed in 1992, the chairmen of both exchanges regularly conducted consultations. This was done, for instance, in order to prepare for talks with the government about new legislation. Furthermore, the AEX index, which had been jointly maintained since 1995, was brought into alignment. The interaction between both markets was also discussed. External developments caused the two Amsterdam exchanges to become even more dependent of each other. In Europe, one big capital market arose. It was the large and internationally active market parties in particular that insisted on a merger of securities and options trading. Only a strongly integrated exchange was able to manifest itself in this new playing field. In that sense, this was a sequel to 1972, when the stock markets in The Hague and Rotterdam merged into the Amsterdam Securities Exchange through the intercession of the nationally operating banks. On December 4, 1996, the members of the Options Exchange agreed to a merger, and on December 9th, the members of the Vereniging voor de Effectenhandel agreed as well. The members of both exchanges jointly deposited 25 million guilders in the new exchange holding Amsterdam Exchanges NV, which was launched on January 1, 1997. Before the merger could take place, the exchanges had to abolish their association structure and convert themselves into limited companies. The Nederlands Centraal Instituut voor Giraal Effectenverkeer (Necigef) and subsidiaries in the field of clearing were also part of the new Amsterdam Exchanges NV. At the time of the merger, the securities exchange was located at Beursplein 5; the options exchange held on to its own building at Rokin 65 until 1998 when it moved to Beursplein 5. In 2000, Amsterdam Exchanges stood at the cradle of international stock exchanges consolidation by merging into Euronext NV.